Lori Hairston: Mother's Day and Flowers at Craft Us Crazy! Mother's Day and Flowers at Craft Us Crazy! It's that time - a new challenge theme at Craft Us Crazy! Link up a Mother's Day and/or Flower project. We have two sponsors for this challenge. One is Meljen's Designs. You can find darling digital and rubber stamps at her store. She's giving 4 digi stamps to the winner of this challenge. The other sponsor is Your Next Stamp. 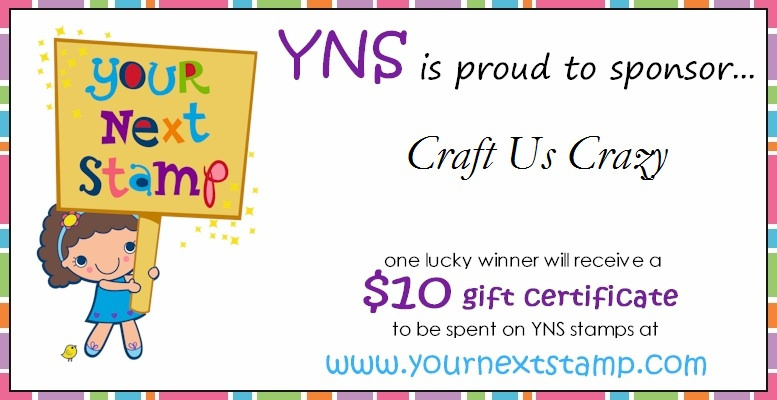 The winner will receive a $10 gift certificate! We also have a monthly sponsor: The Cutting Cafe! Regina has fabulous digital stamps and cut files in a lot of categories - go check it out and enjoy yourself! My card is a vintage image Mother's Day card. It does have a flower - I hesitated at first to make a brown rose, but I ended up really liking it! The cute little envelope is from Papertrey Ink and the stamp is from a set by Melissa Frances. My grandmother gave me a bunch of old booklets that I often use (you can see a tiny piece peeping out from behind the envelope). The design team's inspiring projects have been posted at Craft Us Crazy - go see! And post your own wonderful creation - I can't wait to see them all! This is so GORGEOUS!!! Love the vintage feel! Love your layering here.. Such a pretty card.. Hope you are enjoying your day!!!! Educating kids and teens in making money and running a business. I love this Mother's Day card! A card within a card! How cool!! I am a new follower via GFC. I Hope you can stop by and check out my blog and follow back. Hi! Found you through a blog hop and I am now following on GFC. Have a lucky day! Amazing!! Love the vintage feel of it. Your cards and projects always blow me away! 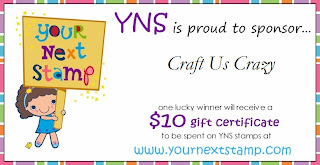 New Challenge at Craft Us Crazy!